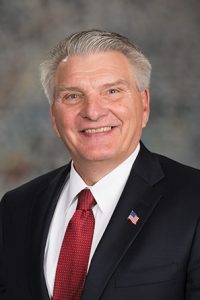 Introduced by Gering Sen. John Stinner, LB775 authorizes the commission to use the design-build and construction manager/general contractor contracting methods. A design-build contract is one that is subject to a value-based selection process to provide architectural, engineering and related design services as well as labor, materials, supplies, equipment and construction services. A construction manager/general contractor contract is one that is subject to a qualification-based selection process to provide preconstruction services during the design development phase of the project and—if a satisfactory agreement can be reached—construction services. The bill authorizes the commission to hire a licensed architect or engineer to assist with the development of requests for proposals, the evaluation of proposals and evaluation of the construction. It also leaves the intellectual property contained in a proposal in the creator’s possession if it is not selected and if the creator does accept a stipend offered by the commission.